Big Mountain Heli Tours says their travelers are the dreamers, the adventure seekers and the hopeless romantics, who choose vacation memories rather than vacation moments. They offer the opportunity to explore Central Oregon by scenic helicopter in both summer and winter and all of their tours are private. They can take you on a visual tour of stunning high desert backcountry, mountain lakes and volcanic flows, or take you to a local winery. Their flights are fun for corporate adventures, family tour groups and for visitors and locals alike. If you book a tour, they promise to take you to their hidden spots, from secret lakes to waterfalls. 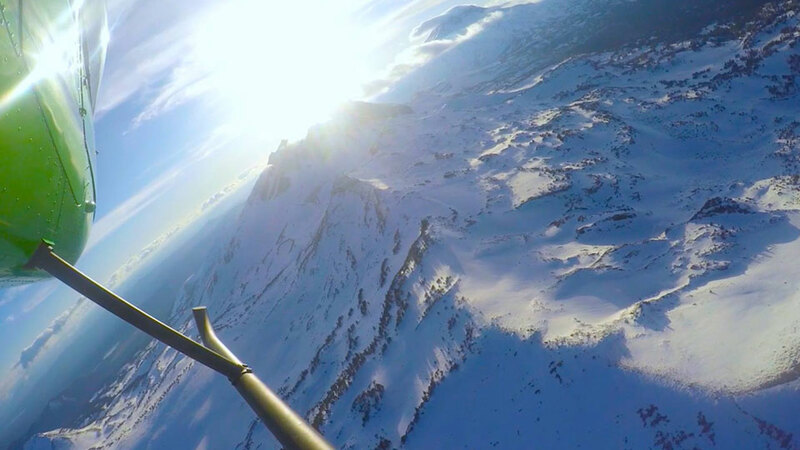 Big Mountain Heli Tours, in partnership with Bend’s premier flight school, Leading Edge Aviation, is staffed by all local highly experienced commercial pilots and mechanics who have a passion for flying helicopters. A nominal $5 helicopter flight fee per person goes directly to helping local organizations are on the front lines of protecting the region’s incredible wildlands.